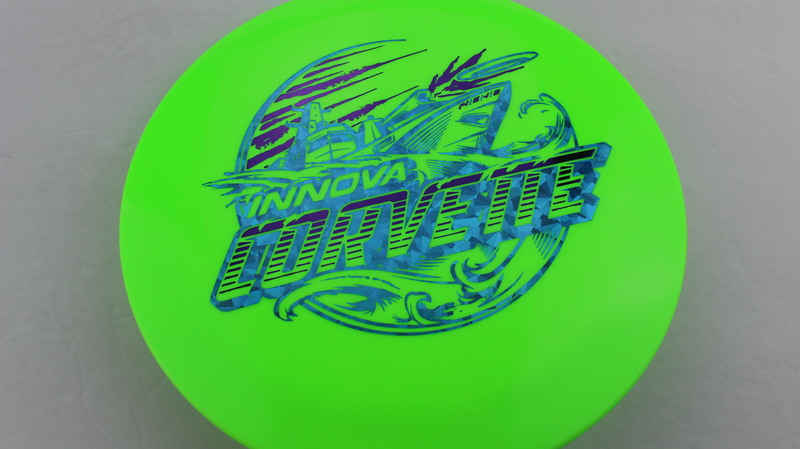 Green Star Purple Rainbow 175g Neutral Flatness Neutral Stiffness $20.18 Just 1 left! 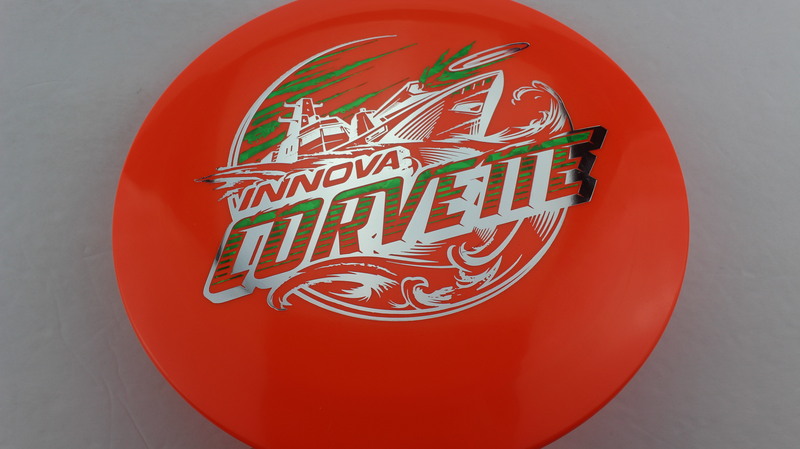 2 Foil XXL Corvette – An exclusive offering from Innova for the top dealers, the Corvette gets a nice new look in the 2 Foil XXL stamp. 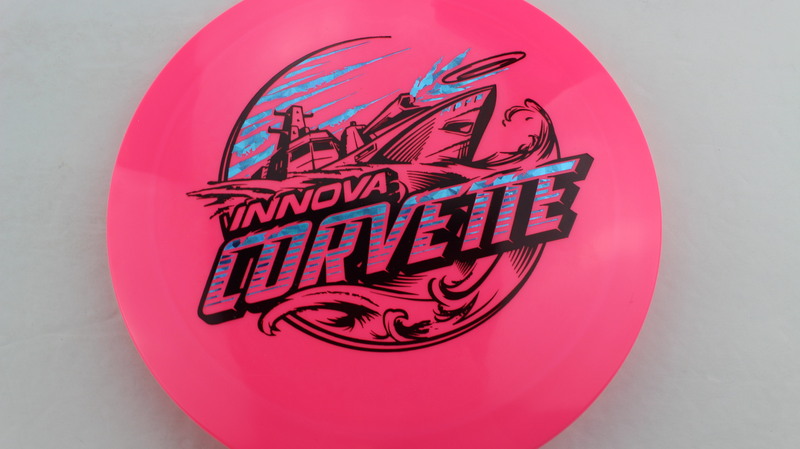 This design features the Corvette Warship and a pretty cool stormy sea/disc firing cannon. We don’t expect these to last long, get one today! 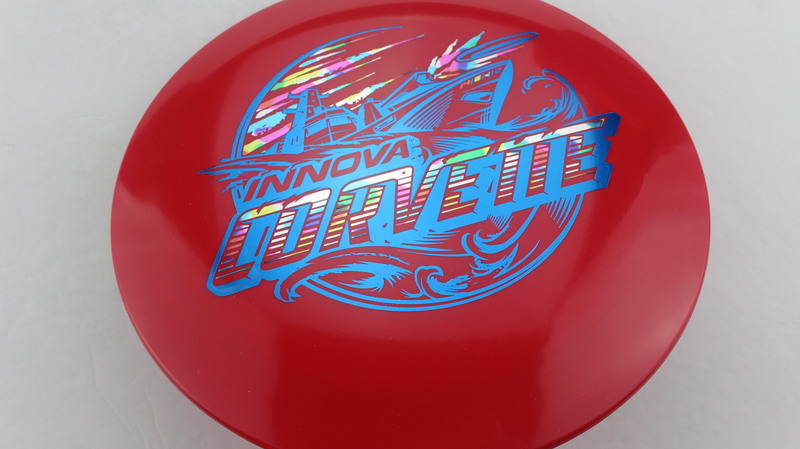 Innova Corvette – Innova’s newest Distance Driver! 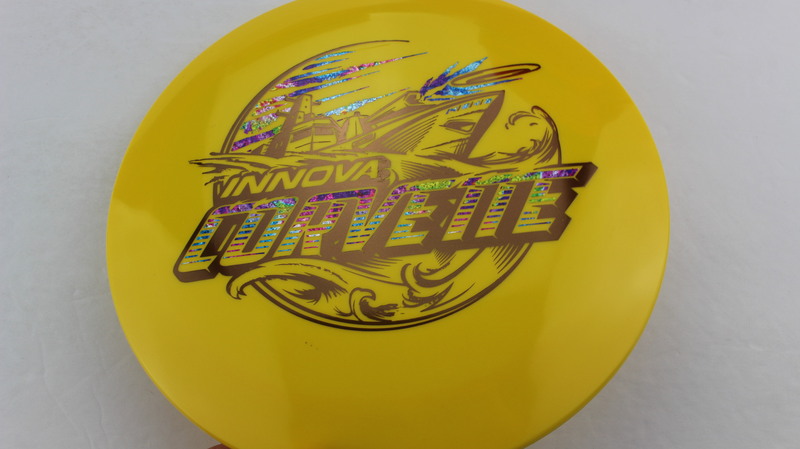 Released in March of 2019, the Corvette is here to do one thing – go fast! 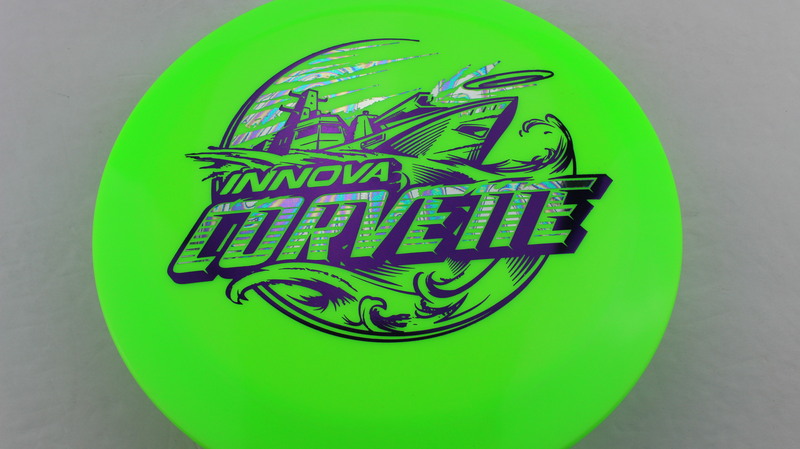 One of the fastest discs in the Innova lineup at a 14 speed, this disc is going to eat up distance like nobody’s business. 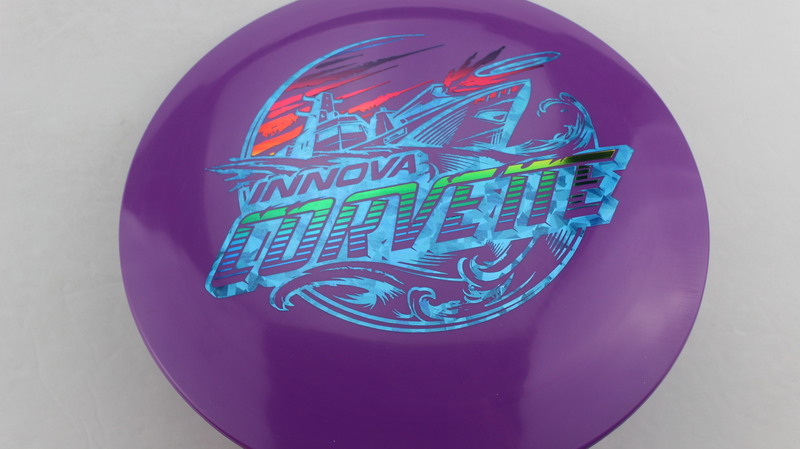 We at OTB got some throws with one of the pre release versions of the mold and it immediately reminded us of a faster Shryke. 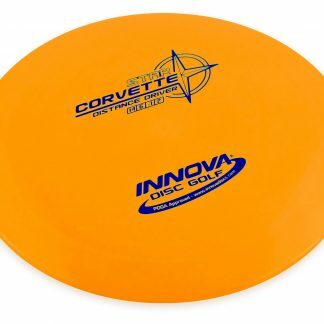 It has some good Turn and great Glide. 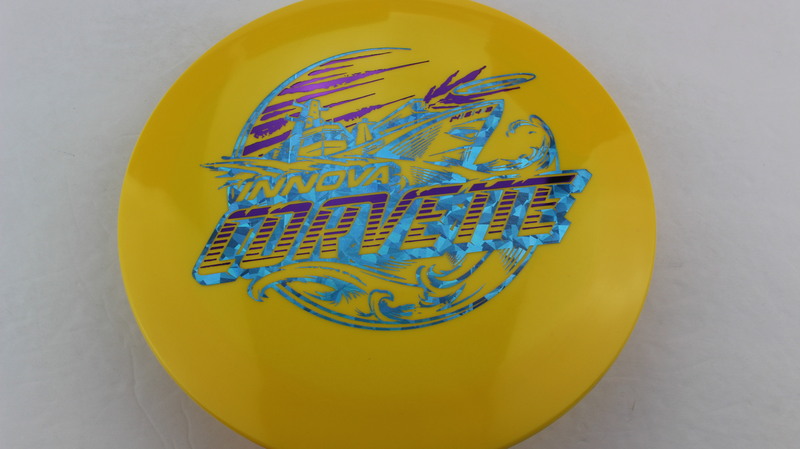 If you can get this disc to travel it’s full flight, I’d argue it’s Innova’s farthest flying disc! 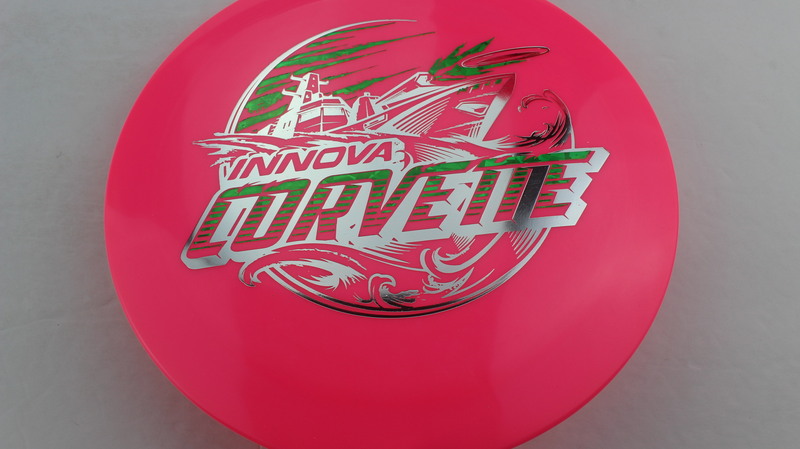 We’re excited for this mold, I think it will be a hit and a disc that will be popular for many for a long time. 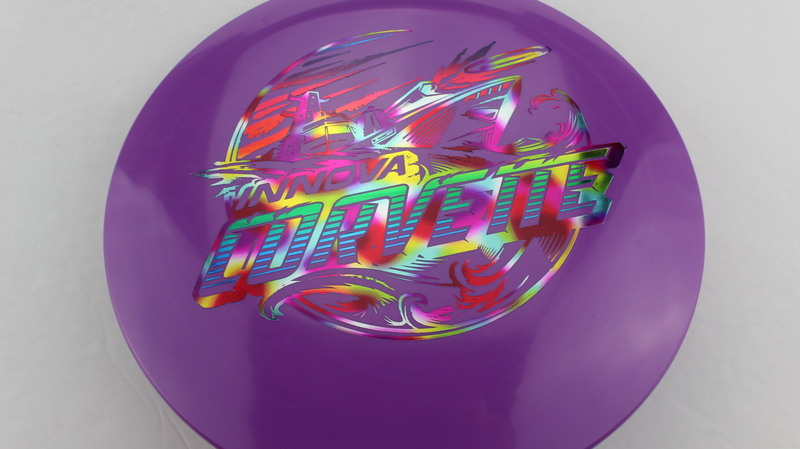 Not likely a disc that is bagged by many of the top pros, their arm speed is a bit too much. That being said, this should be perfect for the masses! 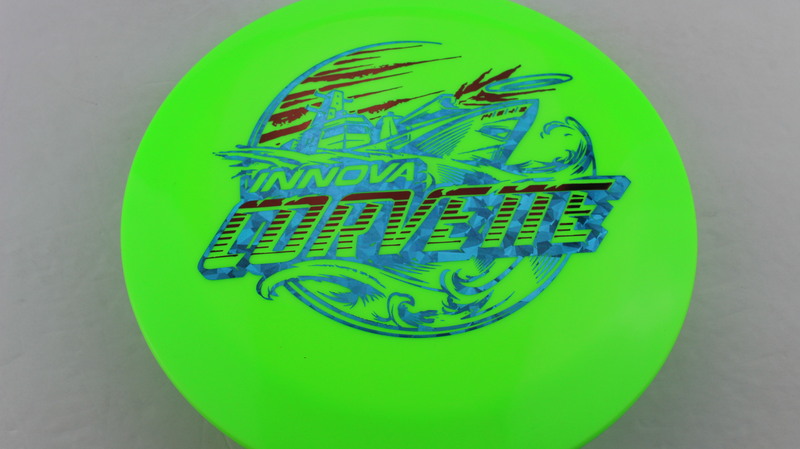 If you love your Shryke but want to try adding a bit more distance, try out the Innova Corvette today! Innova’s write up on the release is this – “This Partner Program release features the Corvette warship in 2-color, XXL foil stamp. 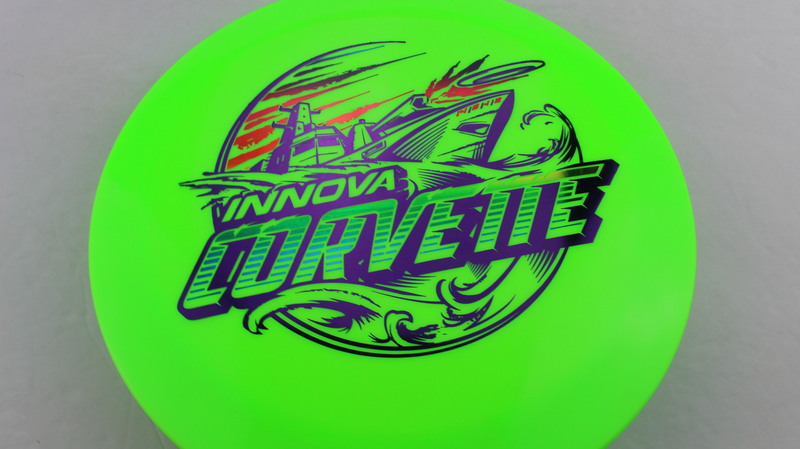 The Star Corvette is a speed 14 distance driver that’s long on glide with just enough fade for freakishly-far throws — think of it as a faster Shryke. 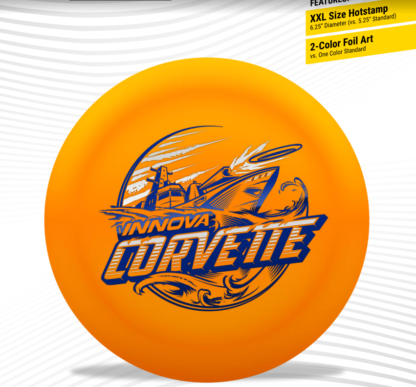 Exclusive offering to the INNOVA Partner Program.